Excellent Condition, CARFAX 1-Owner, GREAT MILES 12,555! EPA 32 MPG Hwy/22 MPG City! Sunroof, Heated Seats, iPod/MP3 Input, CD Player, Dual Zone A/C, Keyless Start, Onboard Communications System, Satellite Radio, Turbo READ MORE! Turbocharged, Satellite Radio, iPod/MP3 Input, CD Player, Onboard Communications System, Aluminum Wheels, Keyless Start, Dual Zone A/C MP3 Player, Sunroof, Keyless Entry, Steering Wheel Controls, Child Safety Locks. PREMIUM PACKAGE Back-Up Camera w/Dynamic Gridlines, Heated & Ventilated Front Bucket Seats, BLIND SPOT MONITOR W/REAR CROSS TRAFFIC ALERT lane change assist, Electrochromatic Mirrors, INTUITIVE PARK ASSIST front and rear sensors, ACCESSORY PACKAGE 2 Cargo Net, Carpet Trunk Mat, Rear Bumper Applique, Key Gloves, Alloy Wheel Locks. 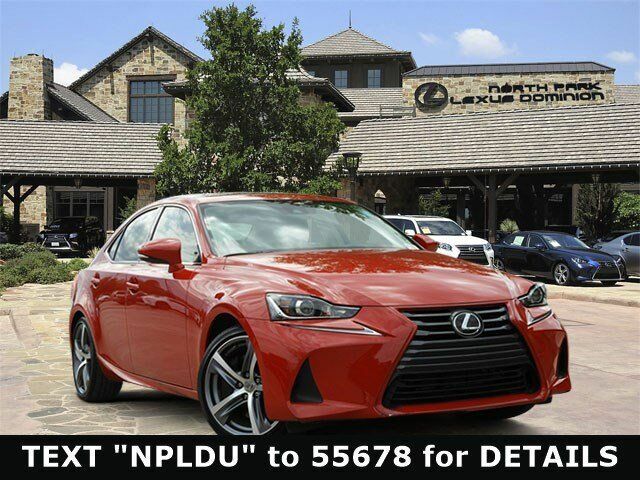 Lexus IS Turbo with Redline exterior and Chateau interior features a 4 Cylinder Engine with 241 HP at 5800 RPM*. Low Miles, Great Color, Local Trade.